IsoSciences has successfully developed the scientific break-through in launching an Isotopically Labeled Version of Vitamin B12-[13C7] to the LC/MS/MS diagnostic market. IsoSciences, LLC, King of Prussia, PA., is pleased to announce the development and release of Vitamin B12-[13C7]. The product (Catalog # S14112) will be available as an exact concentration solution. This novel product marks the first time that an isotopically labeled version of Vitamin B12 is commercially available. As more bioanalytical tests move from immunoassay to LC/MS/MS, this Vitamin B12-[13C7] will allow for increased confidence in the results. IsoSciences is able to ensure that this internal standard will co-elute with the analyte by utilizing the 13C isotope. “There has been significant demand from the industry to offer an isotopically labeled Vitamin B12; however, due to the structural complexity, this product has never been commercially available. IsoSciences was committed to dedicating the resources required for the R&D synthesis in order to be the first to launch this isotope labeled product. We are very proud to continue to offer cutting edge internal standards and allow our customers to continue to develop new LC/MS/MS methods”, stated Scott Landvatter, President of IsoSciences. Vitamin B12 (CAS 68-19-9), also known as cobalamin, is a vitamin that helps regulate many areas of the body such as the brain and nervous system. Additionally, Vitamin B12 helps produce blood and regulate DNA. Deficiencies in Vitamin B12, can lead to improper functions and more serious problems affecting the brain, and nerve damage. Symptoms of Vitamin B12 deficiency can include fatigue, loss of appetite, confusion, depression, numbness, and tingling in hands and feet. Megaloblastic anemia, a reduction of oxygen carried to the body’s tissues because of larger and fewer immature red blood cells, can be caused by a lack of Vitamin B12. If you would have questions in reference to this new product offering, please contact Rich Tyburski, IsoSciences Vice President of Business Development by phone at (609) 440-0020 or email Rich.Tyburski@isosciences.com. IsoSciences is a leading supplier of stable isotope labeled vitamins, steroids, drug substances, metabolites and custom synthesis solutions. IsoSciences was founded in 2002, to fulfill the market needs for stable label isotopes of advanced intermediates and final drug substances. In addition, IsoSciences provides advanced new products that address the industry demands of the expanding LC/MS/MS market and the growing needs for isotopically labeled internal standards. IsoSciences has developed numerous novel catalog offerings to the clinical diagnostics and pharmaceutical markets. For more information please visit IsoSciences.com. MPD Chemicals is a US-based manufacturer of custom and specialty chemicals with over 75 years of expertise in multiple technical areas. 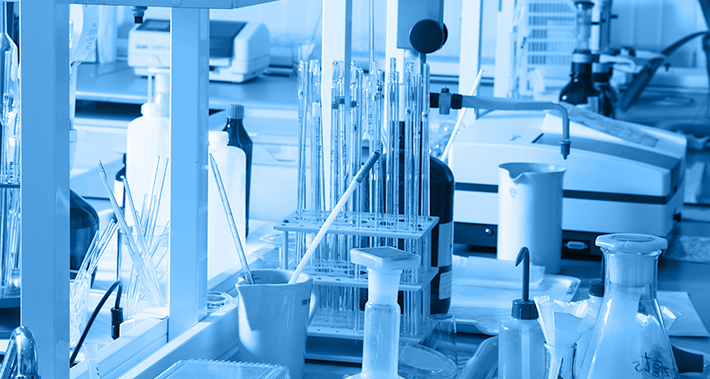 This specialty includes complex organic synthesis, unique monomers, polymer development, organosilicon chemistries and stable isotope labeling. The subsidiary companies that comprise MPD Chemicals are IsoSciences, Monomer-Polymer and Dajac Labs, and Silar. All three business units offer a vast array of catalog chemical offerings, as well as custom, proprietary, critical, and enabling materials. The recent merger of these subsidiaries into one organization has broadened the commercialization services and enhanced cross-functional operations. MPD Chemicals has a broad range of manufacturing capabilities, with capabilities for scaling from milligrams to metric tons. These business units are able to promote novel materials and solutions for various customer applications. For more information, please visit http://www.mpdchemicals.com.